The historic “Evidence Based Model” which took effect August 31, 2017 establishes EBM as the primary source for elementary and secondary education. Because of the new law, the FY2019 budget provides for $350 in new funding. 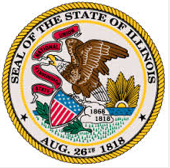 In 2015, Illinois received a $80 million Preschool Expansion Grant from the federal government requiring the state to contribute $50 million each year for 5 years. The $50 million requirement was provided this year. We also boosted higher education funding by $60 million and created a new $25 million merit-based financial aid program for students. Full funding for the Community Care Program, which helps seniors stay in their homes and provides lifesaving care for elderly residents. $75 million to fund affordable child care for working families. Full funding for breast cancer screenings, domestic violence shelters and other lifesaving services for women in need. Pay raises for frontline caregivers who provide nursing care for the elderly and children with developmental disabilities. Restoration of wage increases for frontline workers in aging, disability, home services, mental health, substance abuse, etc. This year, we increased funding for these agencies to protect citizens and state employees from mismanagement and harassment. Illinois became the 37th State to ratify the Equal Rights Amendment. After a long contentious debate, I voted in favor of the legislation. The resolution passed out of the House with a vote of 72 yays and 45 nays. Senate Bill 2481 increases the awards cap from $100,000 to $2 million in tort cases before the Court of Claims, and includes a specific effective date, July 1, 2015 that allows victims of the Quincy Veterans Home Legionnaires Disease outbreak to recover damages. At the time that the Illinois awards cap was set – tied for lowest in the nation – gasoline was 36 cents per gallon. This bill does not automatically award the grieving families anything. They would still have to file a lawsuit and win. But if they win their lawsuit, the court would be able to have a larger range to consider for the award. We could then believe that these heroes’ lives, although priceless, are worth more than $100,000 to their families that the present cap allows. The Governor amendatorily vetoed the bill on Friday evening, August 24th. As Chief Sponsor, I created the framework for the sale of the Thompson Center last year. This historic, but anachronistic building can be sold for millions of dollars and return to the tax rolls. Taxpayers were protected by ensuring that potential developers bear all the costs of lease acquisitions, impact fees and associates costs. The bill also protects one of the most heavily used CTA stations. The bill passed along partisan lines. The Governor cannot sell the Thompson Center until this bill is signed. There have been some erroneous and misinformed public statements made about the South Suburban Airport recently. I just want to get the record straight for you as the person who passed the bill making the SSA law of the land in June of 2013. “Resurrected” was a word that was used about the SSA. You can’t resurrect something that never died. Since its inception, progress has been made on the airport. 85% of the land has been purchased by the state for Phase 1. Two large parcels were purchased just this past June. The beautiful general aviation airport (Bult Field) that will be part of the SSA was purchased in 2014 and continues to be operational. The only hold up is a final study that needs to be conducted by the FAA. That study is ongoing and once completed, the “Record of Decision” (‘go’ or ‘no-go’) will be made by the U.S. Department of Transportation. So you see, there is nothing to be resurrected, because progress has never stopped. If you want to know more about this or other major transportation projects I helped to implement (I57/I294 interchange, CTA Red Line extension, Metra improvements) please do not hesitate to contact my office.